Hi friends! I was contacted recently by Erin Bunce, the business services and social media intern at the Iowa Secretary of State’s office in Des Moines. 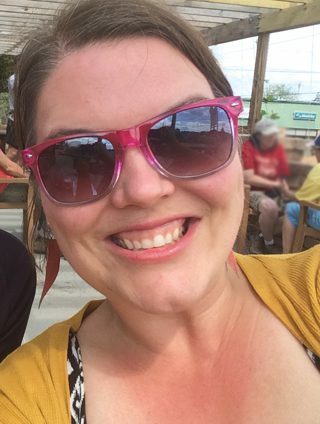 She’s heading up a project that celebrates entrepreneurship by showcasing small Iowa businesses on their Facebook page… and they said they would love to feature Inspire(d) Media. Yay! I loved answering the questions. Erin said they usually post just one answer on their Facebook page, though, so I thought it might be fun to share the whole interview here. Erin was on board with that idea too, so here you go! The Secretary of State office is a service center for businesses in Iowa, the nation, and the world and advocates for Iowa business, products, and the idea of making government more business friendly. The Secretary of State is on the Voter Registration Commission, the State Insurance Committee, the Iowa Executive Council, and the State Records Commission. The Secretary (currently Paul D. Pate) co-signs, with the Governor, all commissions, proclamations, extraditions, and land patents. The Secretary of State is the state commissioner of elections and supervises Iowa’s 99 county auditors. The Office of Secretary of State also preserves many original documents including the Constitution of the State of Iowa and the Acts of the General Assembly. I remember the first time I heard the word entrepreneur – I was about eight, and my older sister casually dropped this big new word: “Dad’s an entrepreneur, Aryn.” I had always said, “My dad owns a sawmill and an auto shop and he’s a helicopter pilot in the National Guard too…” Entrepreneur, my sister said, meant a business owner. To me, it seemed a much quicker way of saying all the things a business-owner must do make life work. Or all the things they want to do. These days, I think an entrepreneur is someone who finds a way to make the wants of life and needs of life interchangeable. We are all capable of creating our careers, as long as we have passion and talent. And I promise: Everyone has passion and talent – you just gotta dig for it sometimes. What made you want to start Inspire(d) Media? I was a senior in college when I read a biography (The Art of Life by Iowa City author Jennifer New) about a photojournalist named Dan Eldon, who was stoned to death in Somalia in 1993. His mother, Kathy Eldon, was an Iowa native, but Dan and his sister grew up in Africa. Dan was – by no means – perfect, but he still found a way – his way – to help people. I found this incredibly inspiring, and, surprisingly, it was one of the first times I felt really inspired. I was no slouch of a gal – I did well in school, was involved in tons of activities, etc., so the fact that it took that long to feel really inspired seemed like a shame. It should be easier for people to find relatable stories that make them feel fired up to do something good. Thus, the idea of Inspire(d) Magazine was born. I wanted to create a local publication that features people in the community doing good things to change the world. Our audience can read the stories and say, “That’s my neighbor! They’re not any different from me! I can do something positive as well.” That’s the premise behind the name. Person one does something to inspire. Person two is inspired. Then person two inspires, and the cycle continues. So it’s a mash-up of the two words: Inspire(d). What is the ultimate goal for your business? Our ultimate goal is to change the world, honestly! But starting on a small scale, with small ripples. 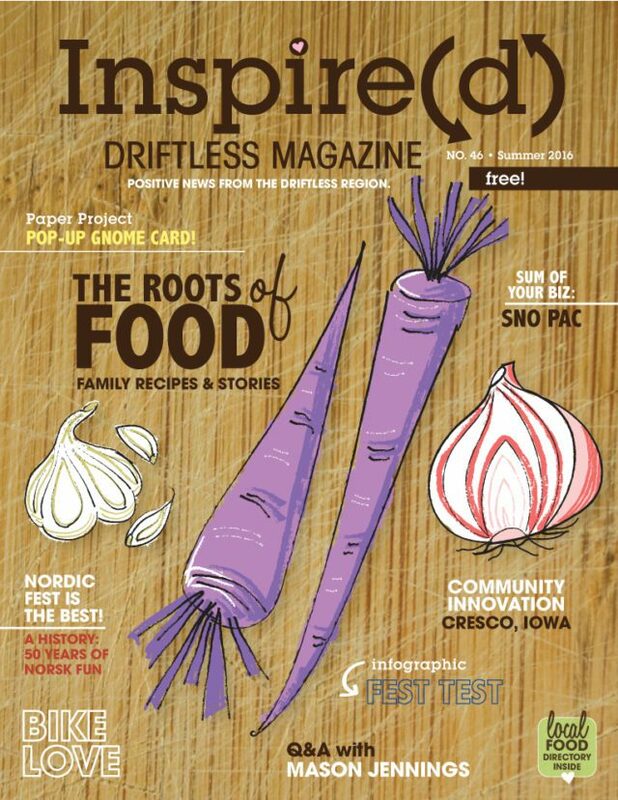 I’d love to see other communities with their own Inspire(d) Magazines eventually, so they, too, can start encouraging folks to volunteer, take notice of cool new opportunities, get involved in local government, support area businesses and entrepreneurs, etc. These are the changes we’re hoping to affect. What is/was your greatest fear about starting your business? After every magazine is published (ah, the permanence of print! ), I freak out that people aren’t going to like the stories. I don’t know why – I know the stories are good – but I guess it’s human nature to worry about being accepted and liked. The fear gets smaller and smaller, though, as the years pass. On year one, magazine one, I cried because the finished product wasn’t exactly what I imagined – that’s one of the hardest things about creative work: living up to your own expectations. On magazine 46, year nine (our current summer 2016 issue), there was only a brief “Will they like it? !” And then, pride after looking through the pages. It looks pretty close to what I want it to these days, and that’s certainly good for the stress levels! How does your business impact the lives of others in your community? I hope it inspires people. I hope it gets people out in our community, talking to each other, connecting, and creating a better place to live. What is the biggest obstacle you faced when beginning your business? It’s tough being the boss, especially when the only other employee is your spouse! I love being the boss, but business and life can get really intertwined, especially when you work from home, as we do, and really love your work, as we do. So sufficiently compartmentalizing those things is a challenge. Plus also making time for yourself, to, you know…exercise and see friends. 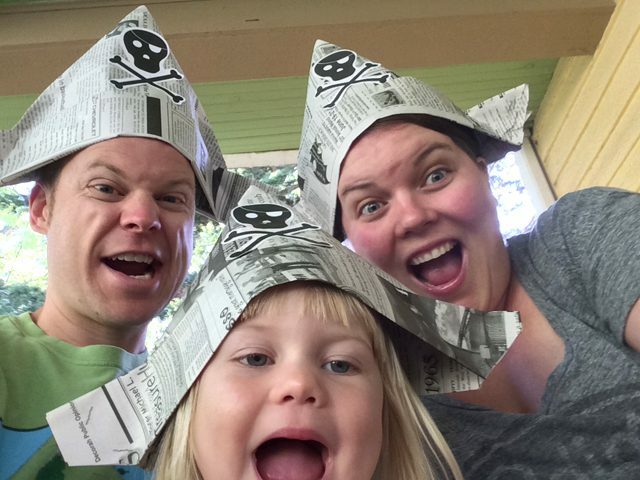 The priority pyramid has gotten clearer over the years, significantly so after having a kid. Of course, there were other obstacles like the whole “decline of print” naysayers (which I never really worried about) and the logistics of it all –how do you actually design something (ha! ), where do we print, how do we distribute, what will we do for racks, how often do we publish, etc? But you take one question at a time, and you figure it out. Then you get better at it, and you figure it all out again as the business changes. How will your business support the community in five years? In 20 years? I hope it continues to inspire people. Forever, really, even if the magazine isn’t around for all of eternity! It’s also a really great “community pride” thing. People living in our readership area are excited to share Inspire(d), and people visiting our communities really get a good snapshot of who we are from the publication. This is good for tourism, recruiting families to come live here, and for community and regional morale. What do you think will be the most challenging obstacle you will have to overcome as your Inspired continues to thrive? The biggest upcoming challenge is figuring out how to grow. We’re kind of at that point right now. Do we hire employees? Do we find an office out of the house? We’ve done things really efficiently, and I think smartly, so far. So taking that leap to the next level is a little scary. But our daughter will start preschool this fall and Inspire(d) will celebrate its tenth anniversary next year. The timing to grow seems good. We could keep going as we are, but change can be pretty fun and exciting! What words of encouragement would you give someone who is on the fence about starting a business? Start asking yourself some questions: What do you really have to lose? Are you passionate about the idea? Do you think it will really work? Do you have the skills and talents you need? Believe in yourself and your ideas – if you’re making something worthwhile, people will buy it. In my work, you’d say, “content is king”. I know I publish good stories, so I know people will read them. But that notion applies to everything. Good product equals good customers. Be your biggest cheerleader and then get the heck out there and start! The flexibility! Some days I hang out with my almost-four-year-old daughter. Some days I mow the lawn at two in the afternoon. Some days I work, literally, through the night. But I get to choose how I do it, and that’s pretty awesome. Thanks for reading, friends! If you want to learn more about us, start here. Or just poke around online and let us know what you think!